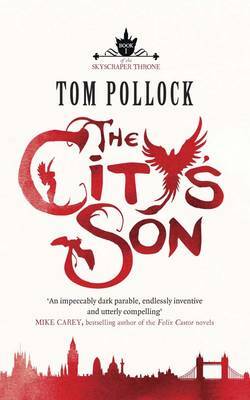 Tom Pollock’s ‘The City’s Son’ is set in a modern/futuristic version of London which is a battleground for strange supernatural entities. I would like to make very favourable comparison’s to ‘Neverwhere’ and ‘Un Lun Dun’ and can’t wait to read more about Beth and Filius in the following books. Tom’s website is found here. He is also active on Twitter and Facebook. No trailer but I did find an interview with Tom.